Highland Wagyu has announced a groundbreaking partnership with internationally renowned Aberdeen Angus breeders W & D McLaren Ltd of Netherton Angus that will create a game-changing Angus superherd. In the next five years, beef breeding company Highland Wagyu is set to invest millions into a new Angus superherd, aiming for 1000 head of cattle, in their quest to be at the top of the Angus beef industry and the pedigree-breeding world. The innovative move includes the private purchase of a majority of the Netherton herd and to run it from both Netherton Farm and Blackford Farms under the guidance of W & D McLaren with William McLaren Jr taking charge of the day-to-day running of Highland Wagyu’s Angus herd, which runs under the Mohmar prefix. William is the fourth generation of the McLaren Angus breeding family, which this year celebrates 90 years of dedicated Angus breeding. The breeders have sold Angus genetics to every continent in the last two years alone. Mohsin Altajir who runs Highland Wagyu with his wife Martine Chapman, said: “We don’t believe in doing anything half heartedly. We bring in the professionals and make sure we’re the best. It’s worked for our Wagyu cattle. We did what we set out to be, we are the largest in the UK and the Wagyu are so popular that top chefs are lining up to put their names on our Wagyu cattle. “We’ve always recognised the importance of the Aberdeen Angus breed and after long and careful deliberation, we thought the best way forward is to align ourselves with the best and we found that in W & D McLaren and Netherton Angus. “We already have some of the best Angus foundation females in our 300-strong herd and, with the international know-how of William, the resources and scale of the Highland Wagyu operation, we can build up an elite herd with genetics to cater to the markets and revive the story of Scotland being home to the best beef in the world. George McCulloch will continue to be herd manager for Highland Wagyu’s other breeds, which include 300 head of Fullblood Wagyu, 200 Shorthorns and a fold of Highlanders to convey the Scottish brand. Mr McLaren Jr will retain a number of females and recipients, running the Netherton and Mohmar herds together. Picture caption – Mohsin Altajir of Highland Wagyu flanked by (l) William McLaren Snr and (r) William McLaren Jnr. Netherton Farm extends to 330 acres and Netherton has been one of the top herds in the country for the past 30 years. William McLaren Sr and Jr have served as Past Presidents of the Angus Society. William Sr is in the Angus hall of fame in the US and has been awarded the Hugh Watson Memorial trophy for lifetime achievement with Aberdeen Angus and the Sir William Young Award. David Leggat of United Auctions carried out the cattle valuation for the partnership. Highland Wagyu is a pedigree beef company, breeding premium Japanese Wagyu, Aberdeen Angus and Beef Shorthorn cattle with a mission to produce the best beef in the world from our 25,000-acre estate farm in Perthshire, Scotland. Established by husband and wife Mohsin Altajir and Martine Chapman in 2011, our ethos of quality, respect and precision underpins everything we do. Highland Wagyu sells directly to chefs. It is the largest producer of Wagyu cattle in the UK and on course to be the biggest in Europe. Pedigree beef breeding company Highland Wagyu has completed a deal with Rawburn to purchase renowned herd sire Rawburn DoubleOSeven as part of a package for a private six-figure sum. Highland Wagyu, which is based at Blackford Farms’ 25,000-acre estate in Dunblane, purchased the distinguished bull with an undisclosed number of heifers, straws and embryos in the package, which they believe is a landmark deal for both businesses. Highland Wagyu’s pedigree Aberdeen Angus herd runs at 100 cows with plans to achieve 200 in the next few years. Highland Wagyu is a pedigree beef company, breeding premium Japanese Wagyu, Aberdeen Angus and Beef Shorthorn cattle with a mission to produce the best beef in the world from our 25,000-acre estate farm in Perthshire, Scotland. Established by husband and wife Martine Chapman and Mohsin Altajir in 2011, our ethos of quality, respect and precision underpins everything we do. Highland Wagyu sells directly to chefs. It is the largest producer of Wagyu cattle in the UK and on course to be the biggest in Europe in 2014. Stirling Agricultural Centre is to become a hive of activity with thousands of pedigree beef breeders and enthusiasts set to see 760 pedigree bulls and females go under the hammer at United Auctions’ Stirling Bull Sales this month. Held under the auspices of the national breed societies, the Autumn Bull Sales take place from Monday 21st to Wednesday 23rd October 2013 and are supported by independent property consultancy CKD Galbraith. One of the highlights of the sales is the dispersal of the renowned Aberdeen Angus Halbeath herd established in 1999 by Robin Orr of Halbeath Farm, Dunfermline, Fife, which has achieved top prices in the sale rings. Interest in British Shorthorns continues to grow with a record entry of 126 females forward this autumn, which includes the dispersal of the highly successful Glengloy herd from David Macleod, Glengoy, Fort William. Also featured is a dispersal sale of the autumn calving portion of the long-established Dunsyre herd of Shorthorns from Mr Carey Coombs, Weston, Dunsyre, Carnwath. In a technological first for the marketplace, the Autumn sales will see the launch of leading edge, digital display systems used in the sale rings to live stream sale and sponsor information, videos and a ticker tape news feature. Already used at Kings Cross Station, Ibrox Stadium and Glasgow’s subway, the two new 6m x 2m screens will replace 10-year-old monotone graphic display systems. Visitors will also see that work has started on expanding the Stirling Agricultural Centre for three growing agri-businesses. Two purpose-built premises, each extending to 6,372 sq ft, are being developed on the Centre’s front paddock for Agricar, a tractor dealership who are relocating from Doune, and existing tenant Emotion Energy who currently occupy Unit 2A-2B at the Centre. The renewables company requires larger premises for its expanding business and their vacated unit will create space for new company Clyde Vet Group to be part of the Centre’s thriving agri community. Full catalogue details for the Sales are available on the Stirling Bull Sales’ page of UA’s website along with access to the sale ring’s live webcam. And UA’s Facebook page will share as-it-happens news and updates. Opportunities for photographs are available from Sunday. 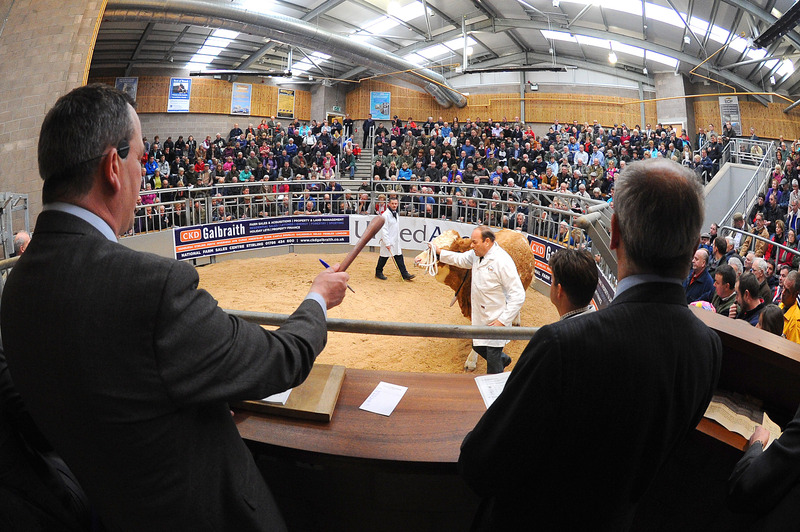 Next week’s May Multi-Breed Show and Sale will be the largest and most comprehensive selection yet at United Auctions’ (UA’s) Stirling Agricultural Centre. 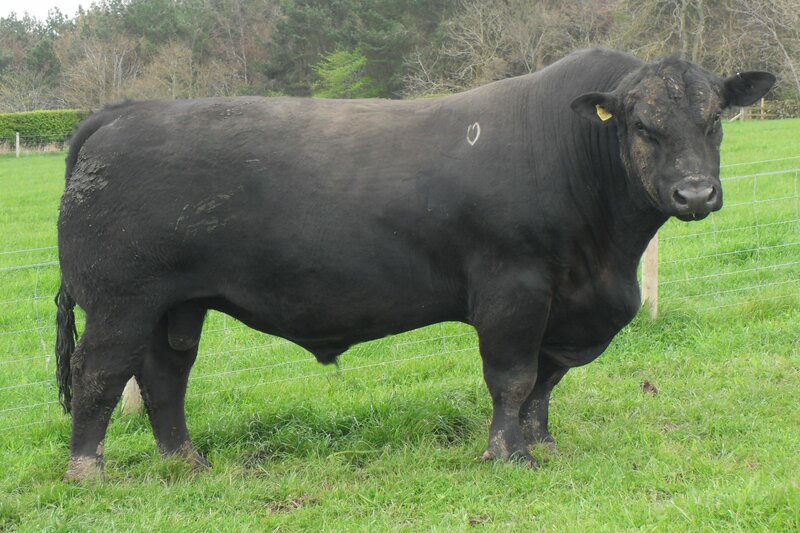 253 pedigree bulls and females will be going under the hammer on Monday 7 May 2012 at the annual one-day event, which has been going from strength to strength over the past five years. And this year will be the first time UA stages a breed society sale of Longhorns, one of the UK’s most ancient cattle breeds. The May Multi-Breed Sale continues to be supported by Towergate Insurance. It is run in conjunction with a special May show and of sale of commercial beef breeding cattle, which is sponsored by Carrs Billington who opened a new country store at the Stirling Agricultural Centre in March last year. Full catalogue details can be downloaded from UA’s homepage www.uagroup.co.uk. The Multi-Breed Sale will be broadcast live on the webcam via UA’s website and as-it-happens news will be posted on the company’s Facebook page. Opportunities for photographs are available from Sunday 6 May. United Auctions (UA) is set to welcome more than 1000 pedigree bulls and females from the UK’s leading herds at this year’s February Bull Sales. 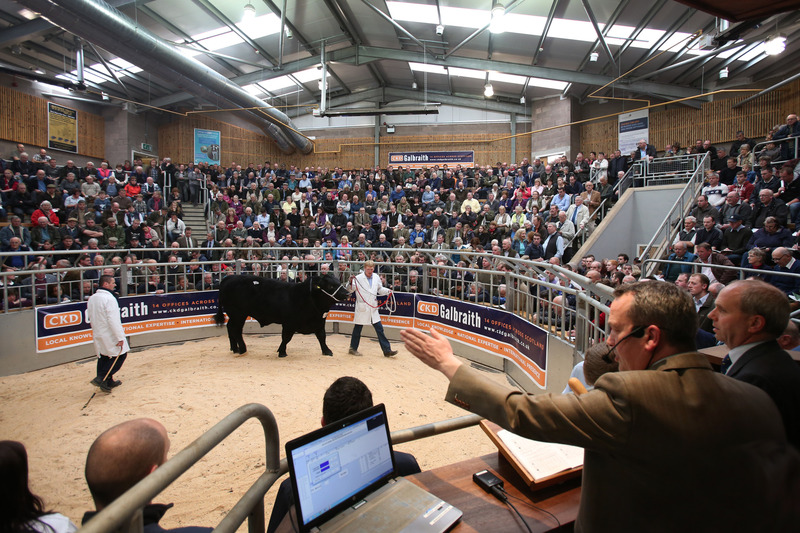 The two-week national event is expected to attract around 12,000 Scottish, UK and international farmers, beef pedigree enthusiasts and visitors to the City of Stirling when Scotland’s leading livestock auctioneers host the Spring Bull Sales at their headquarters – the Stirling Agricultural Centre – from Monday 6th to Wednesday 8th February and from Monday 20th to Tuesday 21st February. The February Sales includes a bumper entry of 127 Beef Shorthorns, including 90 bulls – the highest number forward since 1970. The Sales will also see the dispersal of the Hurdcott Herd from Lady Glendyne after 34 years of breeding. 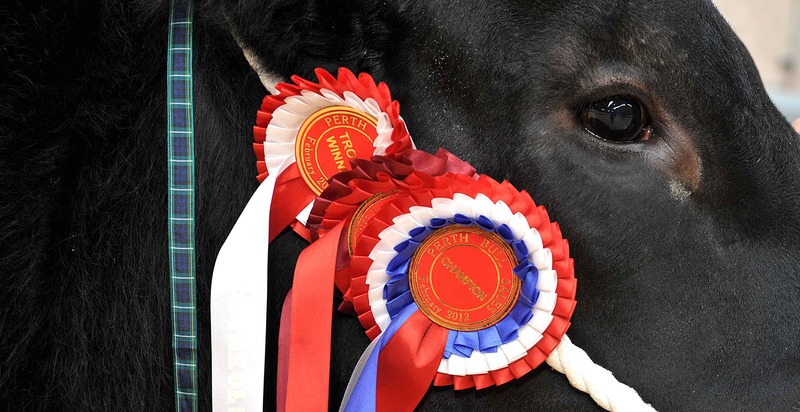 53 lots of pedigree Aberdeen Angus, noted for their excellent commercial qualities that have produced champion bulls at Perth, will go through the sale ring on Monday 6th February. David Leggat MBE, Executive Chairman of UA, said: “We’re delighted with the numbers and quality of this year’s entries. It’s particularly pleasing to see resurgence of interest in the Shorthorn breed, as they were one of the original breeds on which the Perth Bull Sales were founded in 1865. Held under the auspices of the national breed societies, the February Bull Sales are again supported by the Bank of Scotland. 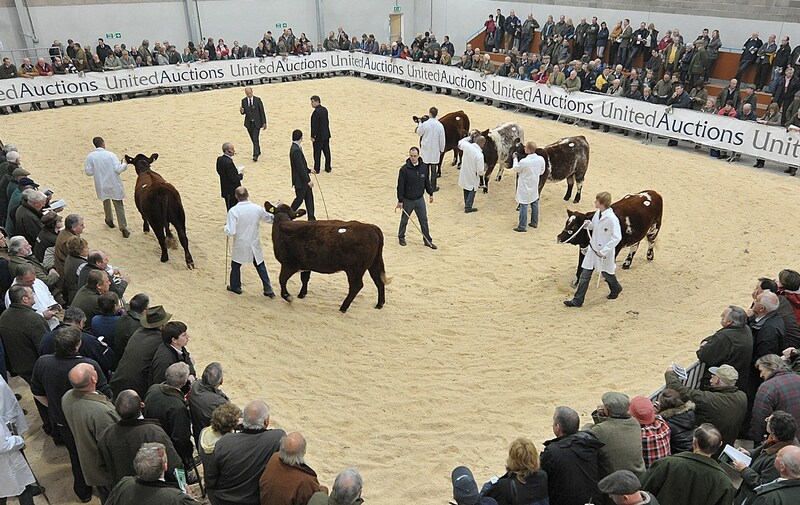 Customers and pedigree enthusiasts across the world can watch all the sales’ action via the live webcam accessed on UA’s website – www.uagroup.co.uk – while the latest show and sale news will be updated on UA’s Facebook page. Search for United Auctions. Full catalogue details for the Sales are available to download from UA’s home page. Opportunities for photographs will be available from Sunday 5th February onwards. The world-famous Perth Bull Sales are nearly upon us. 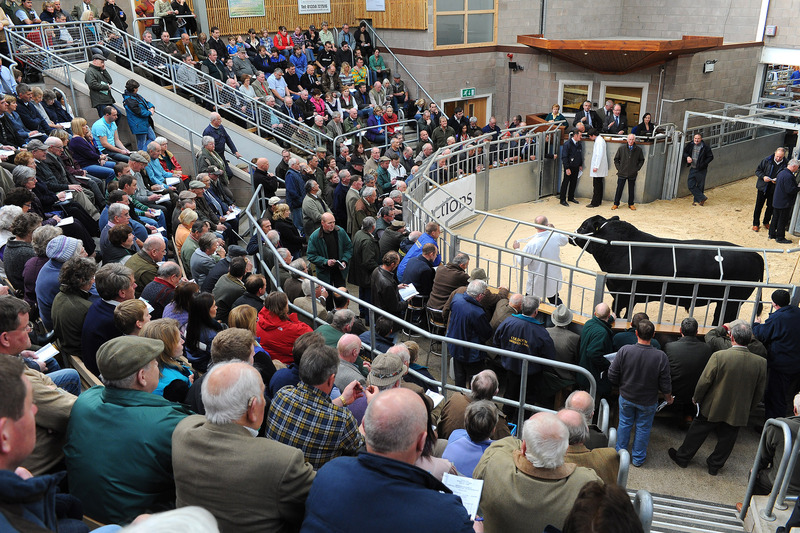 This national event is taking place at United Auctions’ Stirling Agricultural Centre over two weeks, from Mon 7 to Wed 9 February and from Mon 21 to Tues 22 February 2011. The Spring Sales are sponsored by Bank of Scotland. Here’s the event schedule and list of judges. See you there! Aberdeen Angus – Mr W McLaren Jnr, Netherton Farm, Blackford, Perthshire. Beef Shorthorn - Mr. D.J. Steen, Whitecastles Farm, Corrie, Lockerbie. British Blue - Mr Kevin Watret, Northfield Park, Annan, Dumfries. Salers - Alan Howatson, Barncaughla, Newton Stewart. Simmental - Mr S Stronach, Berrylees Farm, Keith, Banff. Limousin - Mr D Graham, Mains of Burnbank Farm, Blairdrummond. Charolais - Mr John Christie, Nethercarse Farm, Kippen. Online press round-up of the Sales below. There was standing room only at Stirling’s new auction mart this week as United Auctions (UA) hosted their world-famous Perth Bull Sales. And as the Autumn Sales marked the second year in the Stirling venue, the company welcomed a ten per cent boost in the number of entries for the three-day event. From Monday 18 to Wednesday 20 October, 880 pedigree cattle from Scotland, England and Wales – including 80 bulls and females from Northern Ireland, the largest consignment in a decade – came to Stirling Agricultural Centre. Around 10,000 people attended the Sales, providing a real financial injection to the local economy during the off-peak tourism season. 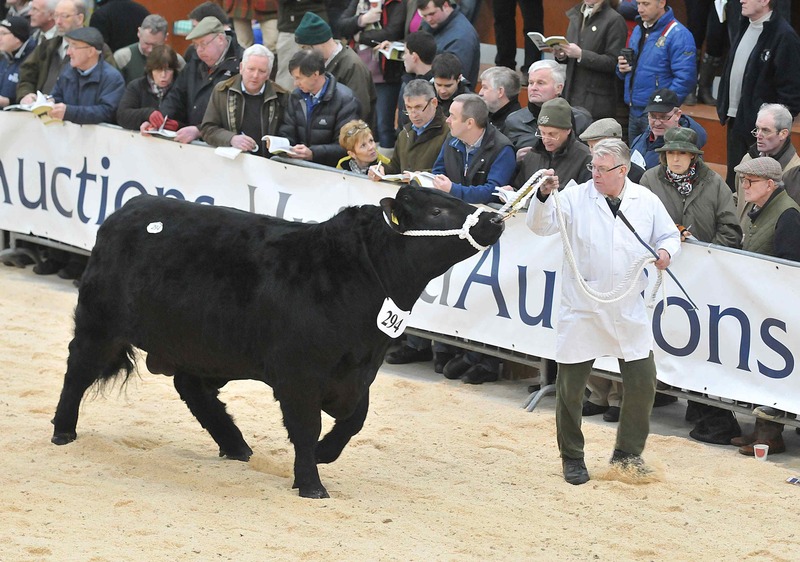 The top price of 12,000 guineas (equivalent to £12,600) was reached on Monday for an Aberdeen Angus bull called Blelack Jubilee from Graeme Massie, Blelack, Dinnet, Aberdeenshire. Reserve Senior Angus Champion, Scholland Duplicator, from brothers John and Leslie of Virkie, Shetland made 10,000 guineas (equivalent to £10,500). David Leggat MBE, Executive Chairman of United Auctions, said:“We had a successful three-day event despite trade being down on last year’s prices due to various factors affecting the beef industry. “Nonetheless, the October Sales were a great spectacle and we welcomed around 10,000 visitors from across the UK, USA, Canada and New Zealand to witness the Sales first hand with more than 2000 people watching online. “We were also delighted to see continued support from elected members who took part in the prize-giving and were pleased to meet with local farmers and pedigree enthusiasts.